The next adventure was Seoraksan National Park, part of the rugged chain of mountains along the east coast of Korea. Gennie and Eryn visited for this adventure, and after meeting TAF head Peter Beck and touring around Seoul, we boarded a bus on Sunday afternoon for the East Sea town of Sokcho. Rising early in the morning, we ascended past flooded rice patties and empty guest hostels to the park entrance. Our goal for the day was to summit Daecheongbong, the highest peak in the park and the third highest in Korea. From there, we would descend to Osaek, the mountain spa town famous for the five mineral colors of its waters. After a long day on the inevitable stairmaster of Korean trails, we reached the summit and headed down for a good soak. The iron-colored waters apparently contain bicarbonate, iron, and flouride salts, which are claimed to cure everything from baldness to joint pains. At five minutes in the cool tub, your skin becomes flushed and warm. Then, by fifteen minutes, your skin has begun tingling all over and you are hoping the damage will not be permanent. After a quick shower, the tingling had stopped and I did feel very refreshed. 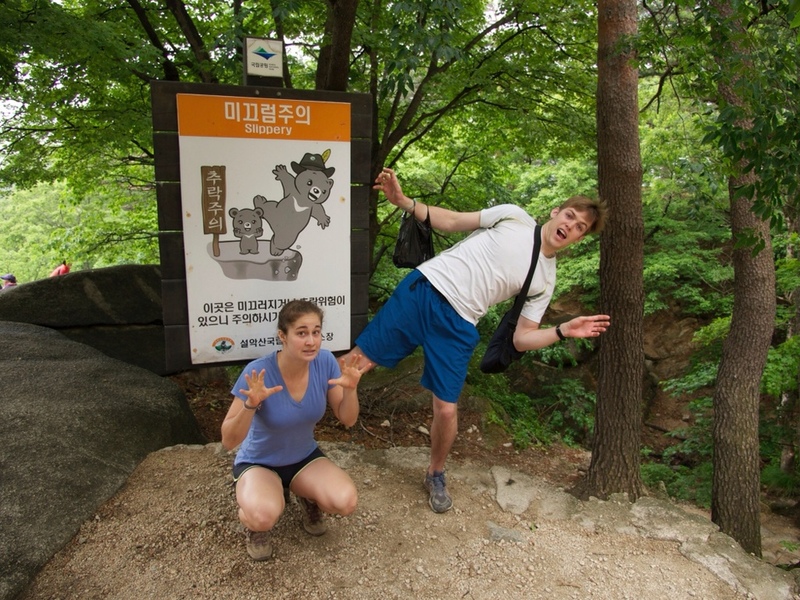 The next day, we made the pilgrimage to 흔들바위 (Shaky rock), where we tried to wobble it. Gennie thought she saw signs of movement, but I felt like the rock had been over-hyped. After the warmup on Daecheongbong, I had the chance to return to Kamikochi in the Japanese Alps for some spring mountaineering, followed by a bit of sightseeing in Matsumoto, the gateway to the area and site of an historic castle. 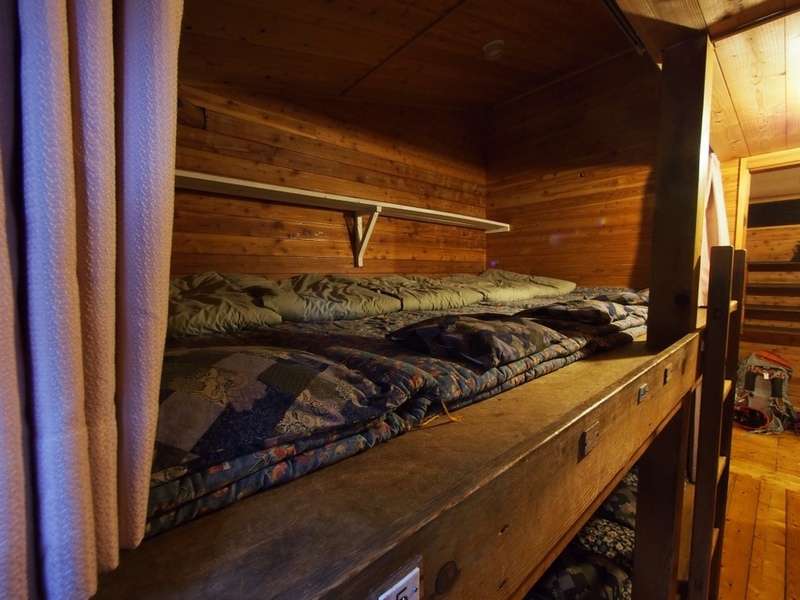 It rained about half of the time I was on the mountain, making me very glad I decided to stay at one of the well-equipped mountain huts, which provide meals and a soak in a hot tub. While there, I met a group of elderly climbers from Hiroshima, the leader of whom was 85 years old and claimed to have climbed thousands of summits. He confided that the secret was walking daily. He and his partners had returned to identify the body of a fellow climber who was killed in an avalanche in January but whose remains had only melted out in recent weeks. The following day, a search and rescue team carried the body down the long couloir and out of the mountains. This reminder to be vigilant in the mountains, combined with the large fallen rocks lining the ascent path, made for interesting thoughts during the trip up the summit gully. After ascending for hours through the rain, I reached the summit ridge just as the weather cleared, offering stunning views deeper into the range. All morning, I had been playing leapfrog with a group of Japanese college students who were climbing each day from a base camp lower down the mountain. Summit shot! Yarigatake rounds out the top three highest points in Japan, the other two of which I climbed in September (Fuji and Okuhotakadake). This had been one of my main goals for the trip. The other, being a traverse of the Dai Kirekko, seemed too ambitious for my limited available time, so I headed down the way I had ascended, spending another night at the mountain hut. Back down in Matsumoto, I passed the hour before my train at Matsumoto Castle, a well-preserved memory of feudal Japan. The castle was engineered with slits for firing arrows and shot, undercut eaves for dropping rocks on invaders, and hallways where armor-clad samurai could run to the area of the castle where they were needed. Our patient, a Korean rock singer, was injured in a motor vehicle accident, leaving him paralyzed from the shoulders down and therefore unable to control his abdominal and intrathoracic muscles, which are vital to control pressure during singing. 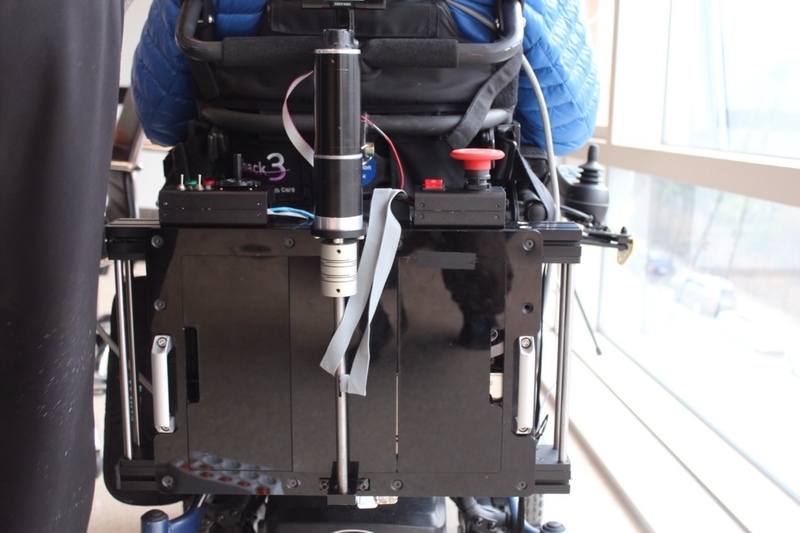 Before our therapy, his solution was for a caregiver to manually compress his abdomen, which was both imprecise and impractical for recording and performance situations. Our device winds a belt encircling the singer's chest, which places pressure onto the abdomen. The singer controls the belt tightness via a joystick, which he can slide back and forth using his limited control of his right hand. To aid further development of this device, I devised a human abdomen simulator from mold silicone and polyurethane foam. Following a technique used in crash test dummies, I designed an inner foam section surrounded by a stretchy layer to maintain the structure of the device. To construct the mold, I printed it in pieces with multiple 3D printers and then reassembled the pieces into an inner and outer mold, between which I poured a thin layer of mold material. 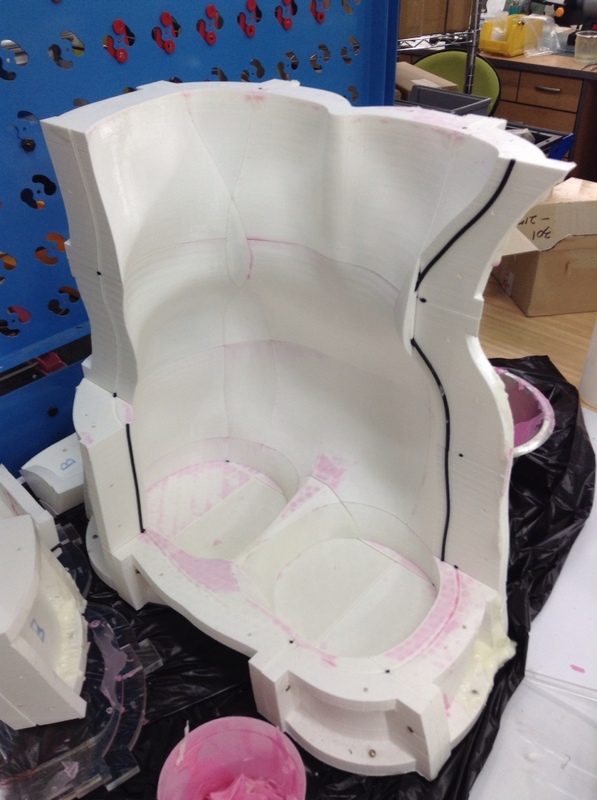 I then removed the inner mold and poured in the foam insert material. During preliminary tests with a pressure-sensing pad, the device roughly corresponded to the behavior of a human abdomen.